This video explains how to find the equation of a line, given a point and the slope of the line. There are two ways of solving this. 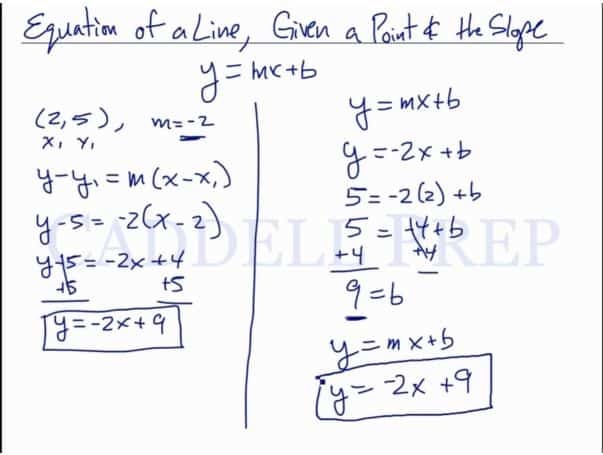 Let’s go over finding the equation of a line, given a point and the slope. We’re going to solve this in two different ways. Now, let’s isolate by adding on both sides. Or the second way to solve this is to do the slope intercept form directly. Let’s solve for by substituting the values of and . which is the same as our first answer.